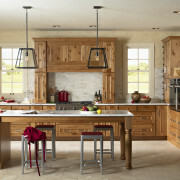 The kitchen is often the highest trafficked area in your home. Depending on the layout of your home, it might be the room that everyone passes through to get from the back porch to the living room to the second floor. Regardless of the layout, however, kitchens are busy; it’s where the food is, after all. 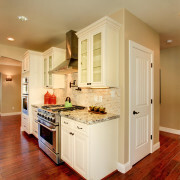 Therefore, finding a durable, attractive flooring option for the kitchen is key. Let’s review some of the best kitchen flooring options available. 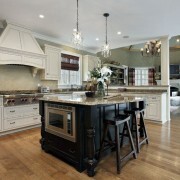 One of the other primary concerns when choosing kitchen floors is cost. 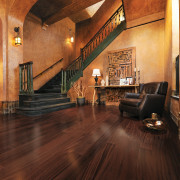 High-end, luxury flooring can be cost-prohibitive for some families. The trick is to choose flooring that will last longer and is neutral enough to fit in with your design choices even as they change. Additionally, it’s important to consider your climate – climates with high humidity or a tendency for more rain should look for waterproof options like tile. Hardwood flooring is much more conducive to dryer climates. However, if you are determined to have hardwood and you live in a wet climate, it’s important to note that water damage is relatively easy to repair. 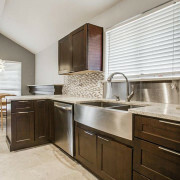 To find out more about flooring options for your kitchen, contact Go Mobile Flooring today. We are happy to bring our mobile showroom to your Tampa neighborhood including Hillsborough, Pinellas, and Pasco county communities.